Our organization tends to attract introverts, so, as an extrovert, I tend to stick out like a sore (but happy and chatty) thumb at meetings. The truth is, I’m not as extroverted as I once was. Why the change? 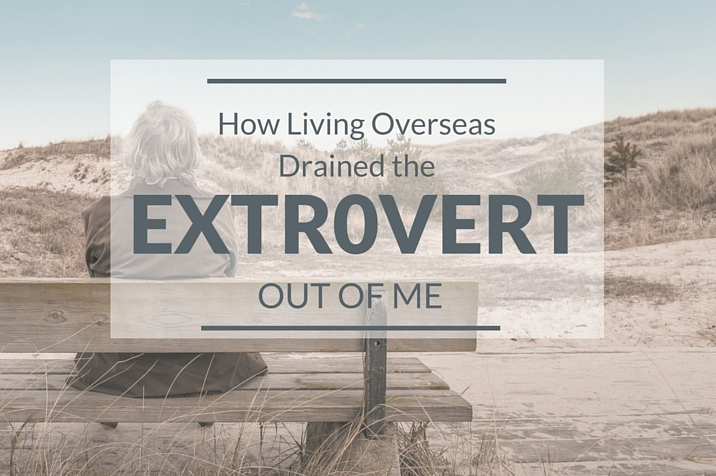 As much as I love being around people, living overseas proved that there can be too much of a good thing. I share more about this shift from extroversion to, well, less extroversion, in a post today at Taking Route. Just moved to Kenya to work at a mission hospital my wife and I served in 25 years ago. I’m off the chart EXtro so resonated with your article as we begin again to serve in a culture that is very quiet and prone to introvert. Need to learn how to adapt yet not lose who I am. Thanks for your comment, Dean. It’s interesting to also consider how being in a more introverted culture affects this change.